Prof. A. of Portland Food Map and I continued our opening night dining traditions, turning out on an otherwise quiet Monday to visit the newest Miyake restaurant. The Diner is in the same spot on Spring Street as the Food Factory Miyake, the original sushi bar. Each Miyake restaurant has a different concept, the big fine-dining sushi bar, the more casual and raucous noodle bar, and now the diner, in the style of a Japanese izakaya. The diner is even smaller than the original Miyake, with eight stools at a long wooden bar and a wooden booth in the corner that theoretically seats eight (it looked maxed out with six). Joe Ricchio is behind the bar, so I asked him to select a sake for me. 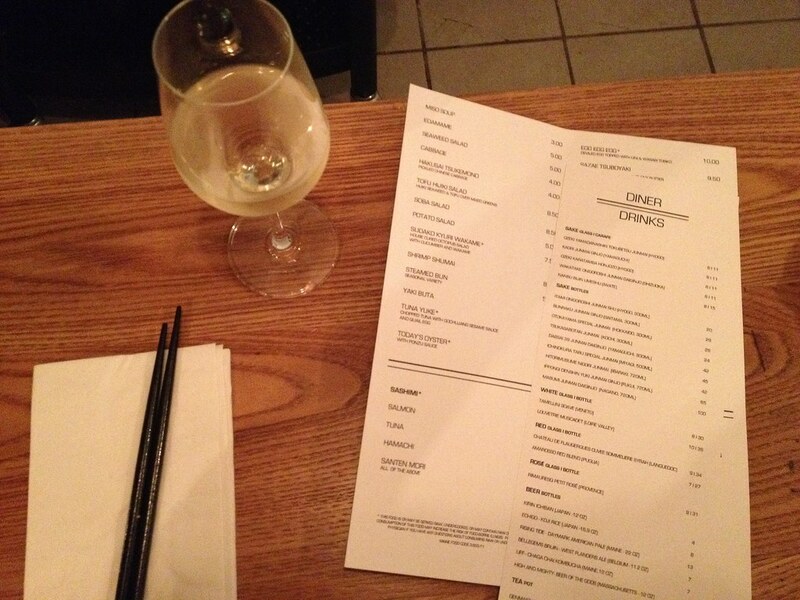 There are five sakes available by the glass, nine by the bottle, and a few selections of white, red, and rose wine. Bottled beer and tea are also available. 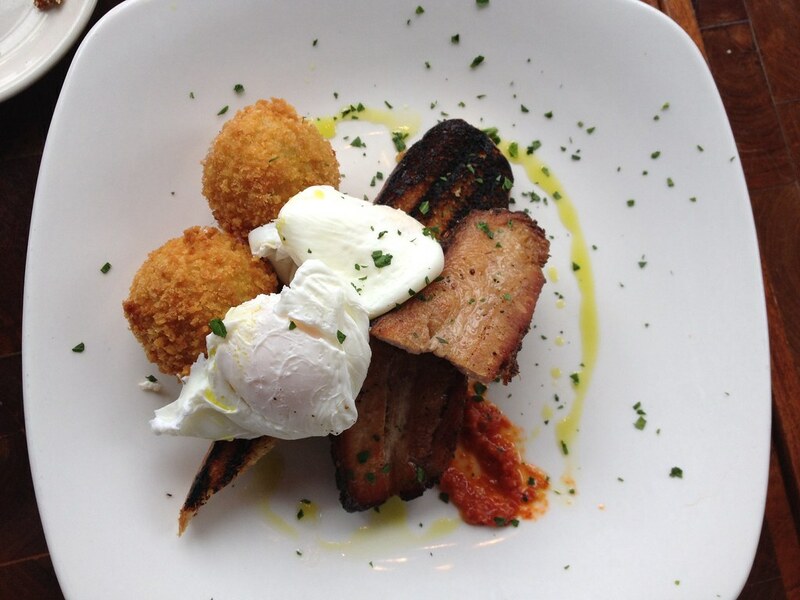 The menu is small plates from $4 to $12.50. We tried a few dishes - the octopus salad seen below, a cooked eel and eggplant dish, a scallion, scallop, bacon egg pancake, and beef curry. 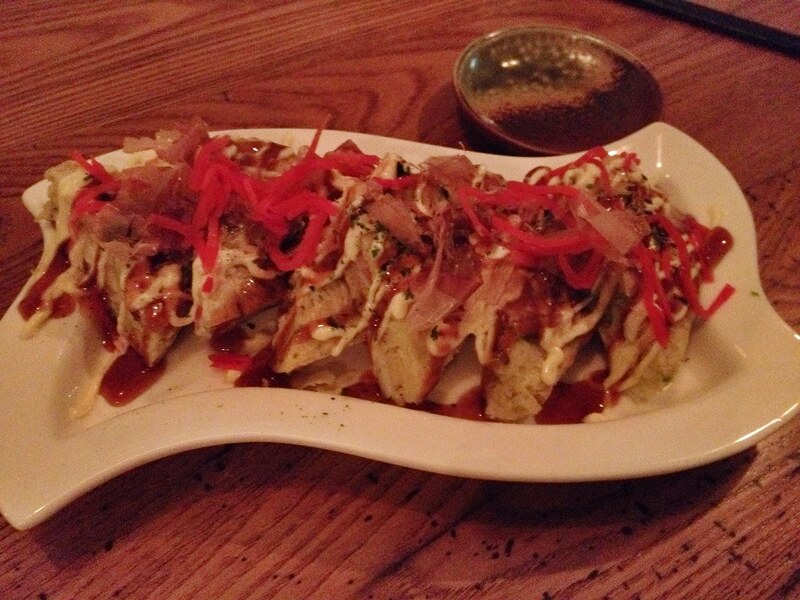 If you've had any of Chef Miyake and crew's food, you know that quality is not an issue here. Everything we had was very good. 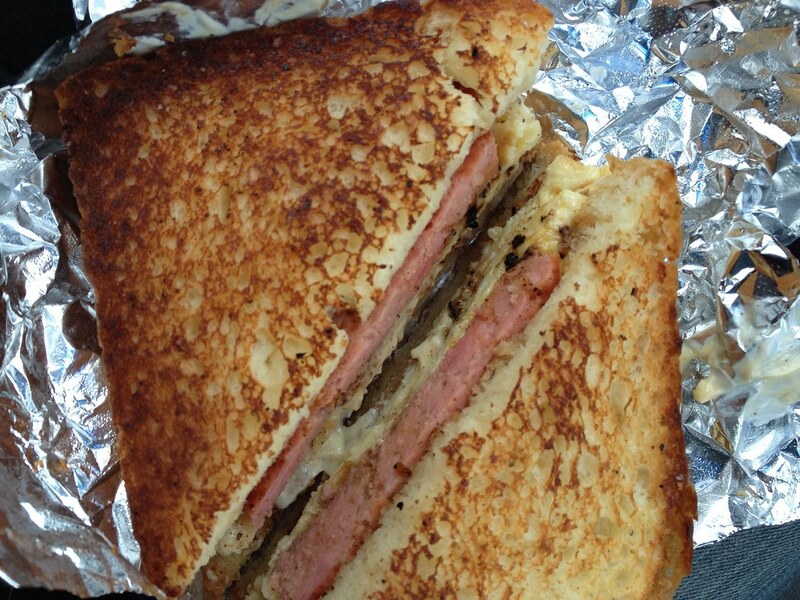 Instead, the food is surprising. The firm, tender octopus with crunchy onions in savory broth. Eggplant and eel pared together. 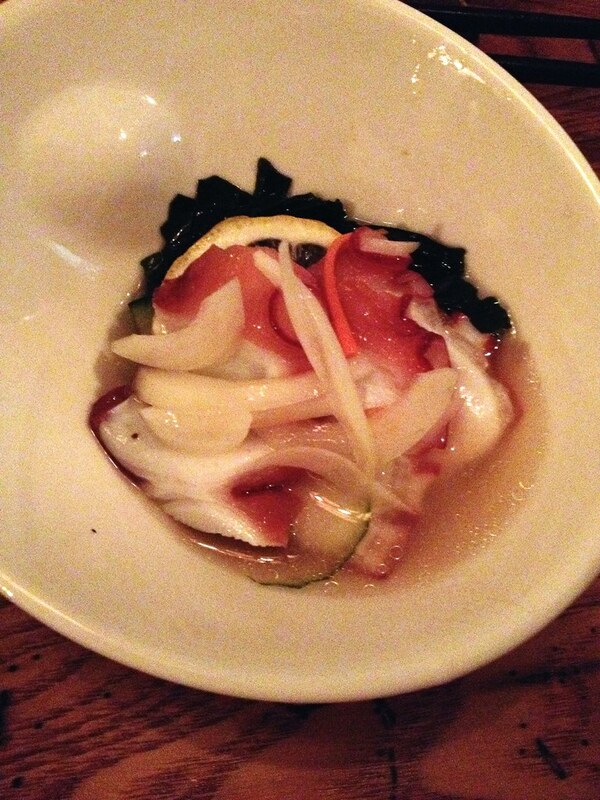 Springy scallops and smoky bacon with sharp pickled ginger. The complex, unexpected flavors of the curry. These dishes aren't like any other bar food in Portland, and combined with the intimate, cozy atmosphere, the whole experience is a lot of fun. Of course, anytime Joe's involved, there's fun. I'm looking forward to returning with friends to share small plates and to see what other surprises the menu holds. the country and produces award-winning varieties. While we don’t make near as much as cheese-loving states like Wisconsin and Vermont, Maine has 73 licensed cheese makers today, up from ten a decade ago. Thanks to like prominence of local cheese at retailers like the Portland Farmers’ Market, K. Horton’s Specialty Foods, Rosemont Market, and Whole Foods, curd-loving customers are familiar with local creameries and cheese styles like never before. Whether it ends up buttery, crumbly, or tangy, all cheese starts out as milk. Maine Cheese Guild President Eric Rector attributes the success of the cheese industry to its high-quality founding ingredient. 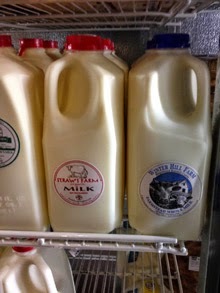 “Maine produces some of the best milk in the world, in my opinion,” Rector says. Unfortunately, the story of the Maine dairy industry isn’t as rosy as that of cheese. Today, Maine has just under 300 dairy farms, down from 500 in 2000. According to production reports from the Maine Milk Commission, the state’s number of dairy farms decreases every month. Dairy farmers have a hard time making a profit off of fluid milk and are increasingly retiring or selling their cows in favor of more profitable types of farming. A convoluted pricing system created in 1935 determines dairy farmers’ profits. Large dairy farms sell their milk to processors and are paid at a rate that is determined monthly by the state. At times, these payments are not enough to cover even the cost of production. Smaller operations can fetch a higher price for their product by processing and bottling it themselves. At Winter Hill Farm in Freeport, farmers Steve Burger and Sarah Wiederkehr host a herd of heritage breed Randall cattle. Burger and Wiederkehr purchased the farm from a couple looking to retire and were attracted to the rare breed of cows. Randall cows used to be found on many small family farms in New England, since they are an all-purpose meat, dairy, and draft animal. Burger and Wiederkehr milk eight to nine cows of their herd of 20 and sell raw milk, yogurt, and cheese. Selling their milk at farmers’ markets helps Winter Hill Farm to get a higher price for their product than if they sold to one of the state’s dairy processors. Smaller dairy farmers like those at Winter Hill Farm frequently choose to diversify their operation by making cheese from their animals’ milk. Cheese sells for a much higher price per pound than the milk itself does. “Particularly if you’re [a smaller farm], you need another outlet to sell to because with dairy prices and the way they fluctuate, cheese making sales provide stability,” says Whole Foods Market’s specialty cheese buyer Shannon Tallman. But animal products like milk and meat are often the last holdout for many locavores. The cost of these products from smaller producers can simply be cost-prohibitive. Fortunately, there are a multitude of ways to support the industry that produces the milk used in your favorite cheeses. Buying milk that’s processed in Maine helps our dairy farmers too. The three Maine milk processors (Oakhurst, Hood, and Houlton Dairy) pay into a fund that helps to cover dairy farmers’ production costs when milk prices do not. Look for processing plant number 23 on the packaging to indicate that that milk was processed in Maine (see moomilkco.com/got-maine-milk for more information). Consumer support will help strengthen Maine’s dairy industry whether that milk ends up in your cereal bowl or on your cheese plate. I don't have much of a sweet tooth, but I love donuts. Maybe they're the exception because they overlap with my love of fried food. Truth be told (secret truth here), I haven't loved any of the donuts I've found in the Portland area. I think there might be a weird yeast/cake donut regional preference going on here (yeast for life). Until recently, the best donut I had in Portland was one a friend brought out from the Coffee by Design on Washington Ave. It was a glazed chocolate donut and it was amazing. I have a strong suspicion it was from The Holy Donut. 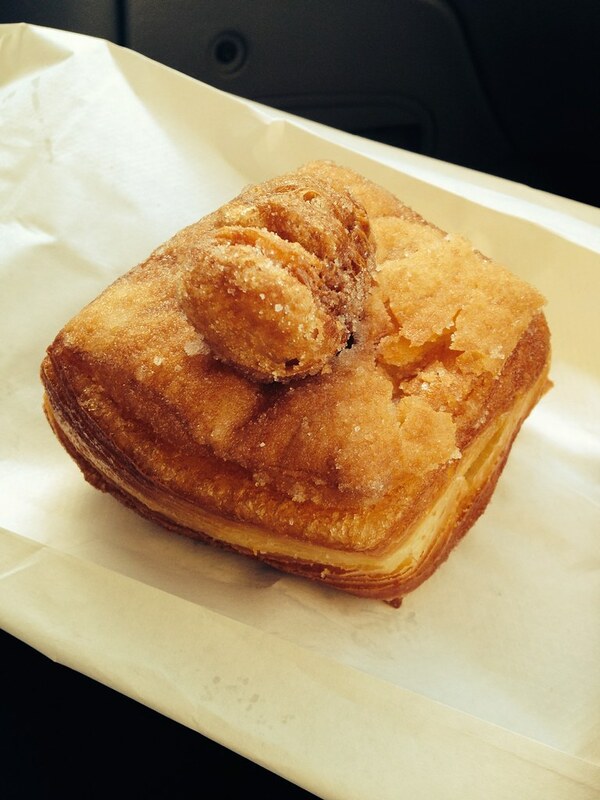 My love for donuts collided with my fixation on the Cronut last weekend. Social media told me that Little Bigs was selling their version of the famed donut/croissant hybrid, pioneered by Dominique Ansel Bakery in New York. Since I'd made my own fantastic version last summer at the beach, I was eager to try some from a professional baker. Little Bigs cronuts are fried-to-order and so are only available Sundays from 11-11:30AM. I arrived a little before go-time to find a line outside the shop. I laughed because it was slightly absurd to be standing in a line outside a shop in a stripmall in South Portland on a Sunday morning. I was excited, but nervous that they'd run out before I got mine. When I finally got my turn in the shop (there was really only a line outside because the shop is so small), I could see owner Pamela Fitzpatrick Plunkett hard at work at the fryer. 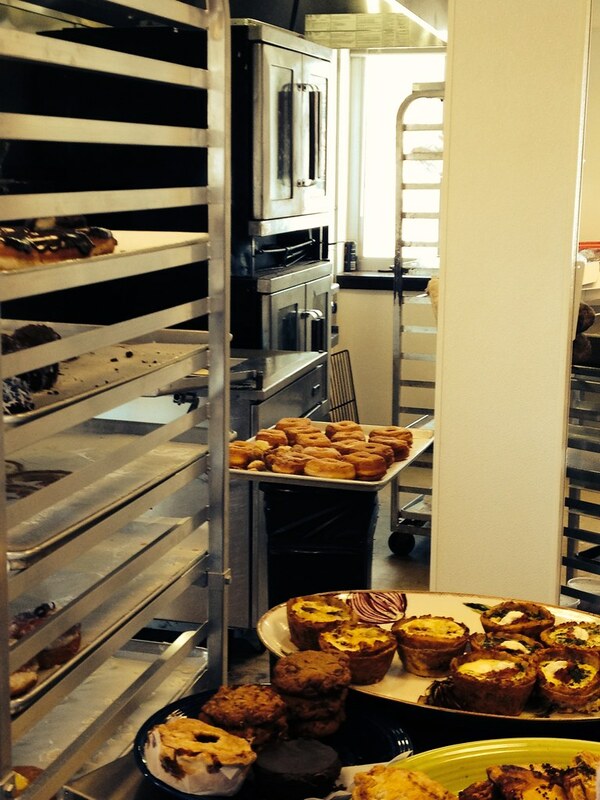 Seeing her big tray of faux Cronuts made me feel better until I realized people had called ahead to reserve them. My anxiety returned. Finally, it was my turn. I ordered two Cronuts and an assortment of their donuts. The man who helped me said he'd never seen this many people in the shop before and looked a little pale when someone told him there was a line down the block outside the shop (only a slight exaggeration). 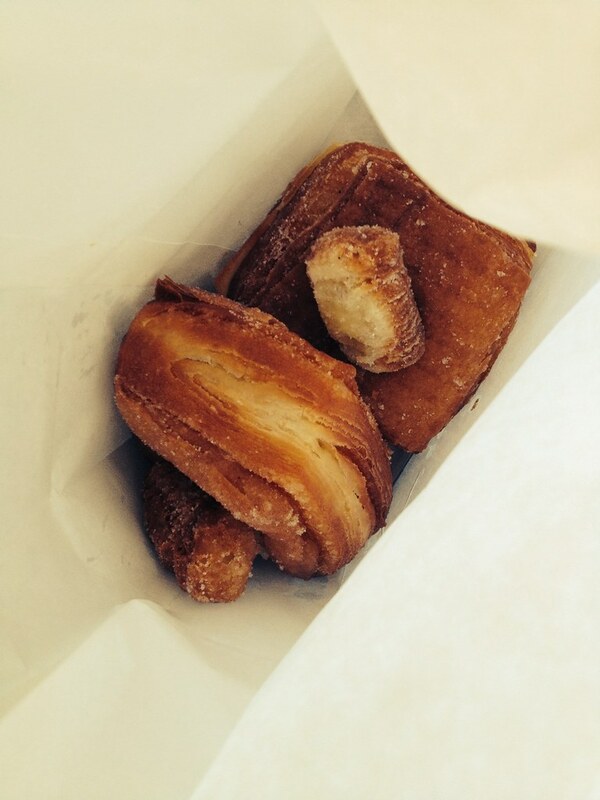 The Cronuts were fried, flaky, sugary, over the top - everything you'd expect. I mean, they're fried sugared croissants. Hello. Little Bigs' version is square with the donut hole placed on top, which seems to be their signature style. They're so good, and I love how excited about them everyone is. But you know what? The stars of the show are there every day on the baker's racks waiting for you. Their donuts are freaking amazing (technical speak). The apple caramel donut blew my mind. I thought it might suffer from too much or overly sweet filling. But no, it was perfect. Perfect, I say! 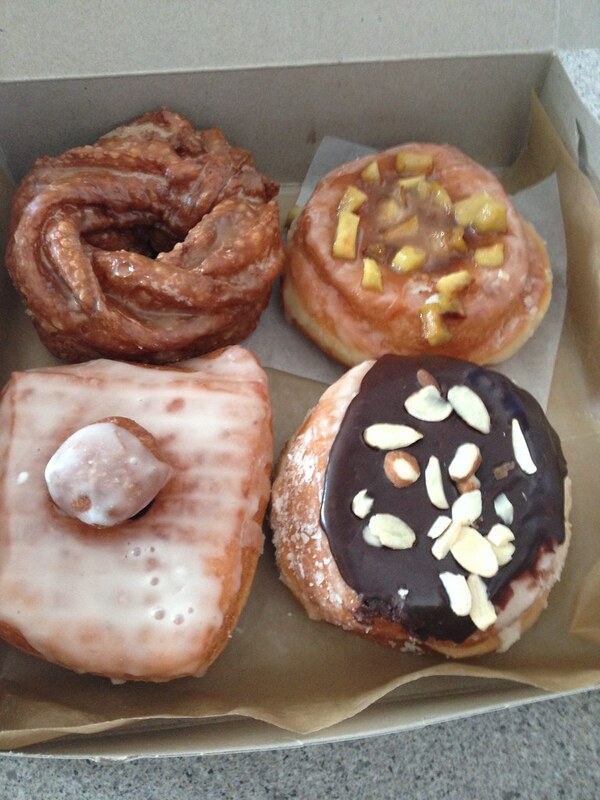 I also had maple cruller, Boston Creme filled, and a glazed. They were all fantastic (except Boston cream, because it was Boston ALMOND cream, and I hate almond extract - my bad though). So go for the Cronuts if you want. 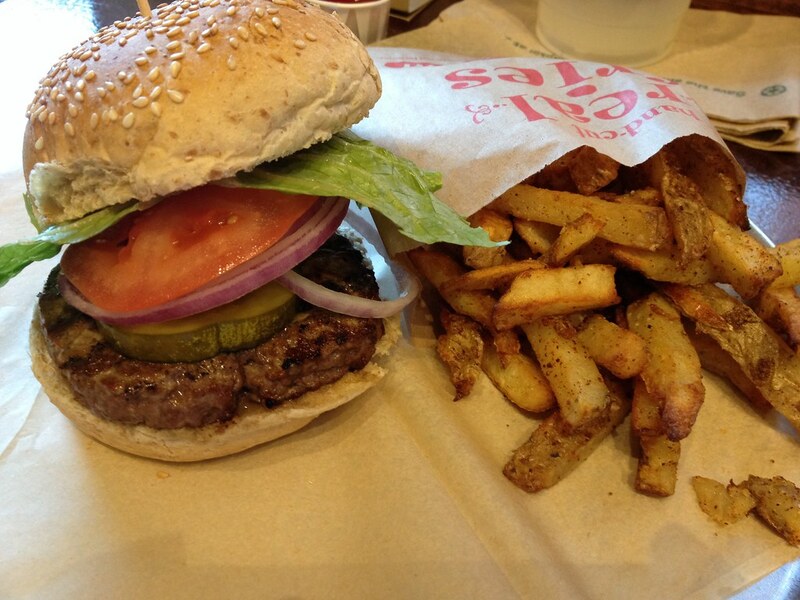 Call ahead to reserve some to avoid Sunday morning anxiety (that should not be a thing). But if they're sold out or you go at a different time, there's still plenty of amazing treats to be had at Little Bigs. Gardening is a natural progression from an interest in local food or home cooking. Maybe you're looking to increase your personal sustainability or want the pleasure of growing sun-ripened tomatoes right outside your door. Whatever the reason, if you're at all interested in gardening, find a way to do it that works for your lifestyle. Maybe a plot in the local community garden (call now, there's a long waiting list for prime Portland spots). Maybe a small container on your balcony. If nothing else, find a friend with a garden and volunteer weeding in exchange for some tomatoes. I live on the Portland peninsula and for the first time in the five years I've lived here, I had the pleasure of building my own raised bed garden. It wasn't cheap, but I decided to do it right, with good materials. In this process, it occurred to me that maybe many looking to garden in Portland aren't aware of the most crucial step in building your own garden bed. I wasn't until someone told me, and it seems so obvious that many don't talk about it. Since I'm not from Maine, it didn't sink in right away that the houses up here are old - really old. And where there's old housing stock, there's lead paint. It can be safely assumed that all of the soil on the Portland peninsula has high lead contamination. Did you know that the peninsula used to end at Fore Street? Everything from there to the water is backfill. After one of the many fires on Munjoy Hill, they simply scraped all the rubble downhill into the harbor and used it to build out the waterfront. In the half lot next to my building, a little digging reveals a lot of glass, slate, and brick, like there used to be another building there. My point is that very little of the Portland peninsula is naturally occurring soil. 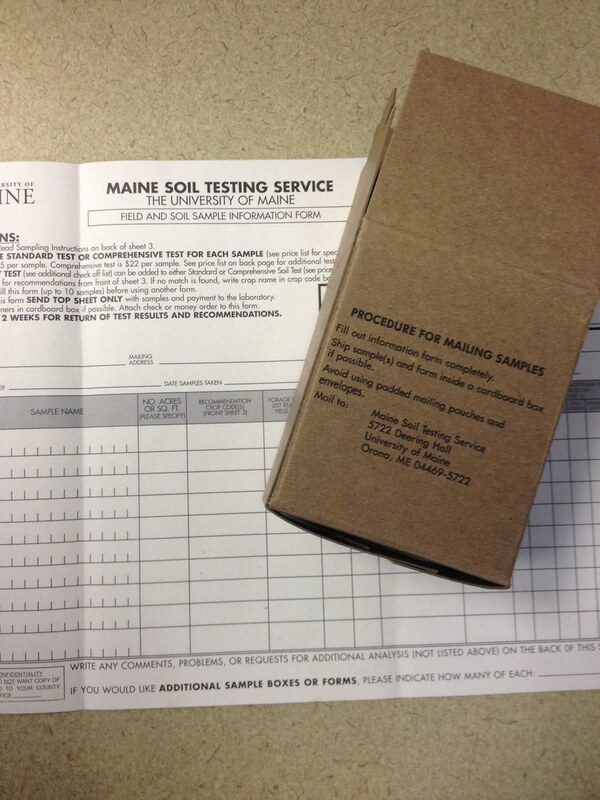 To find out what's in your soil, you can test it through the University of Maine Cooperative Extension. 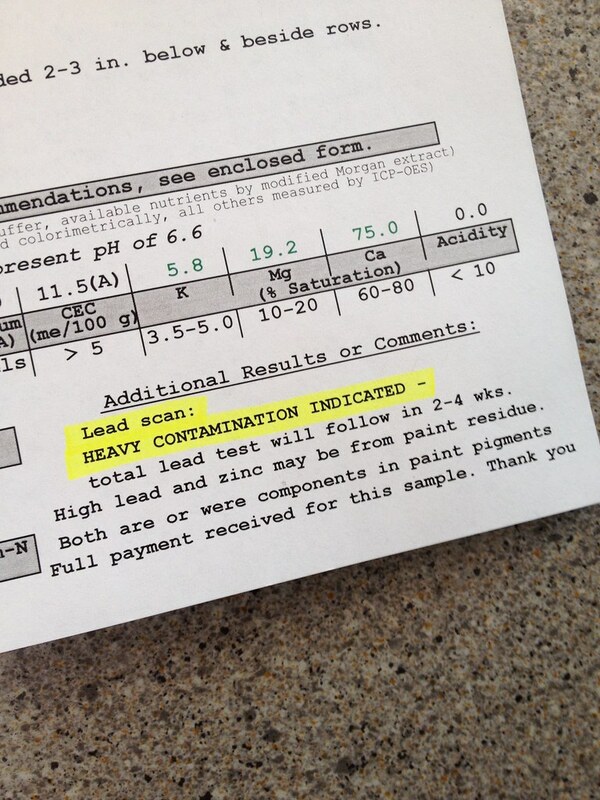 They will test for lead, but again, if you live on the Portland peninsula or are looking to build a bed within five feet of your older house, you can assume you'll have to buy new soil. Just to be sure, I tested a soil sample from an existing flower bed that I'm looking to turn into tomato central this spring. The soil test also tests for all the nutrients in the soil, so it's a valuable resource if you're also looking to amend your existing garden's soil. Here are the results from my soil sample. You can see the nutrients tested for, the range of existing nutrients, and recommendations for amending the soil for my particular crop (I requested organic vegetables, hence the advice to add crabmeal, mmm... crabmeal). So my soil looks pretty good for planting, but then lead came in and ruined my party. Yikes! I need all of my mental functioning - don't have any I can spare, thank you. So instead, I'll plan to remove the existing soil (coming your way, Garbage to Gardens! ), line the bed, and replace it with a mixture of loam and compost. This might get expensive, so an alternative I'm considering is burying containers in the soil. Then I'll just get new soil around for the plants, avoiding any potential lead contamination. 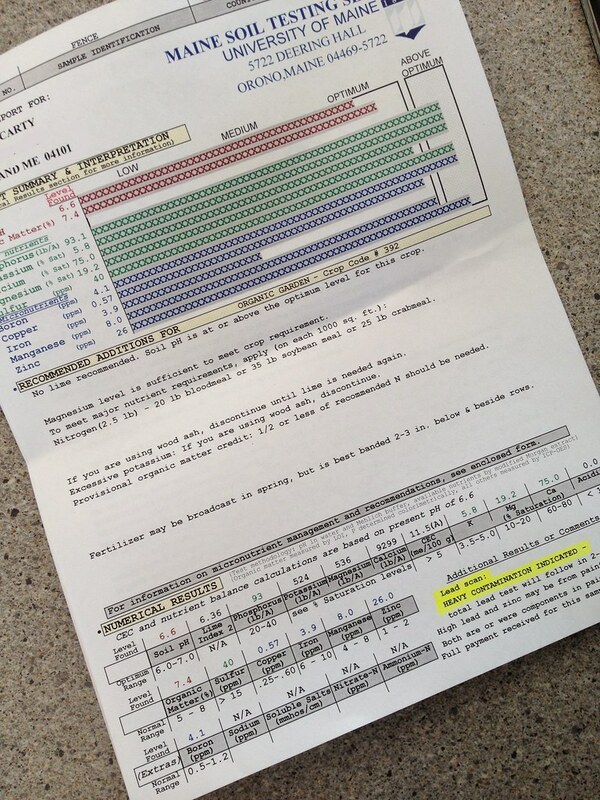 Soil test kits are available at your county Cooperative Extension office. The Cumberland County office is located in Falmouth off of Rte. 1 at 75 Clearwater Drive (behind the Walmart). The test costs $15 and takes a few weeks for the results. I realize your soil is probably buried under several inches (feet?) of snow, but keep this option in mind for spring or our January thaw. I learned about lead contamination in Maine soils through the UMaine Extension Master Gardener program. The application period for this year's class is closed, but there is an interest list for next year's.